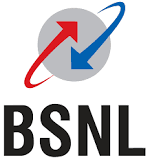 Bharat Sanchar Nigam Ltd. has published Advertisement for below mentioned Posts 2019. Other details like age limit, educational qualification, selection process, application fee and how to apply are given below. Advt.no. : 12 - 1 / 2018-Rectt. Educational Qualification: BE/BTech. or equivalent in Civil Engineering for JTO(Civil) & in Electrical Engineering for JTO(Electrical) from a recognized Institution/University AND are required to appear in GATE exam 2019, opting one paper from selected two disciplines of GATE paper codes i.e. Electrical(EE) & Civil(CE).